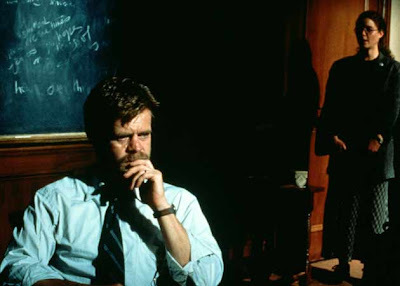 Oleanna is a confounding film made by David Mamet in 1994. Starring William H. Macy, it is essentially a two-man play brought to the screen. It tells of a female student going to her professor to ask for help in the class, and then later accusing him of sexual harassment. The dialogue, though written by Mamet, is redundant and seems never ending. It is also maddening because although it is obvious that both sides should have merit, it seems obvious that the professor is the victim and the student is actually the predator. Due to the lengthy dialogue and the staginess, this film seems to go on forever though the Mametspeak is fun. I wanted to check out Iron Man before seeing the sequel, but that didn't happen and I am only now getting around to it. When I saw the sequel I said it may be better than the first, but that is wrong. 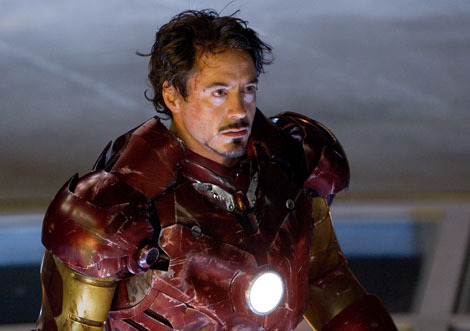 Iron Man is superior entertainment and takes the superhero movie in an interesting new direction. By not being self-serious and having a sense of humor while retaining all the other traditional elements of the genre, Iron Man is an excellent flick. Robert Downey Jr. is the unlikely but excellent choice as the hero. Terrence Howard was good as his sidekick, Gwyneth Paltrow equally good as his assistant, and Jeff Bridges, whom I originally did not like as the villain, I now believe is the right choice. Though the second installment is fun, it does not match up to the original. As the servants are preparing for a dinner party at their master's residence, a few of them leave for unexplained reasons. Soon the guests arrive and start behaving in an extremely strange fashion. Then they stay past a reasonable hour and soon they realize that they are unable to leave the party, which coincides with some other strange occurences. This 1962 film by director Luis Bunuel, the master of the surreal, was hailed as a masterpiece for satirizing the upper class. Though maybe not as successful by those terms when viewed today, Bunuel's odd film contains some sharp humor, well defined moments, and a very wry ending. Nowadays the movies have been overrun by vampires, and in the movie Daybreakers the entire world has been overrun by vampires, feeding off the dwindling, endangered human population. As blood demand grows and supply drops, a vampire researcher tries to find an alternate blood supply or a cure to vampirism altogether before its too late. B-movie (if you couldn't tell from the description) is somewhat entertaining and mercifully short, though it is just not my schtick. Ethan Hawke, who is hit or miss, is adequate in the lead and Willem Dafoe is fun in a supporting role. Things go a little too over the top in the end though. One of the pleasures of going to the movies is when you are able to enjoy a movie you though you wouldn't due to panning by audiences or critics. 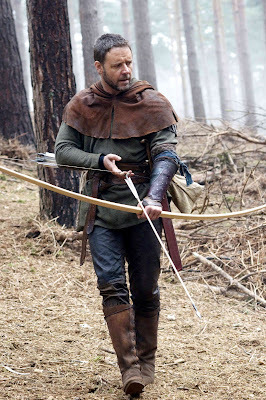 In the case of Ridley Scott's latest take on the legend of Sherwood Forest, critics have accused him of draining the fun out of the Robin Hood tale by making it to dim and dour, not putting enough into the Crowe/Blanchett romance, and by being a virtual clone of other historical battle epics such as Braveheart and Scott's own Gladiator. 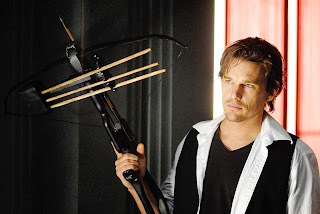 This is a more gritty Robin Hood, a reimagining of the classic tale in which Robin assumes the identity of the deceased Robin of Locksley, seduces his widow Marion, and Richard the Lionhearted dies early on (He still meets up with friends Little John and Friar Tuck). The movie is fast-paced and contains some wonderfully shot battle scenes, especially the final one. To address the criticisms, I think they hit the mark but should not be used as criticisms. 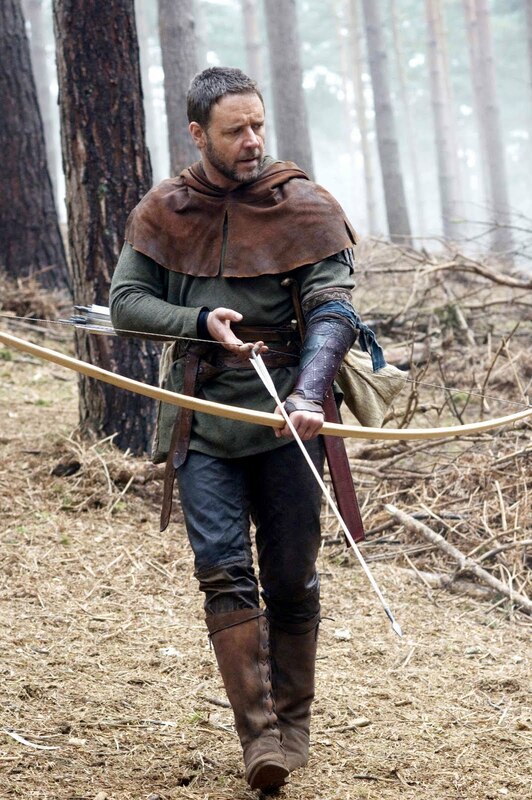 Though Robin Hood is usually scene as a jolly fellow frollicking throughout the forest, I think the tough minded Russell Crowe is right for the role as the hero of the poor was probably a more serious type. The merriment is retained in scenes involving the merry men, however, and this is not addressed in the reviews. Romances often get in the way of films like this, and I like how it was mostly sidestepped in this film. Finally, the movie does not merely copy great recent battle epics, but goes its own route and earns its place alongside some of the better entries in the genre. 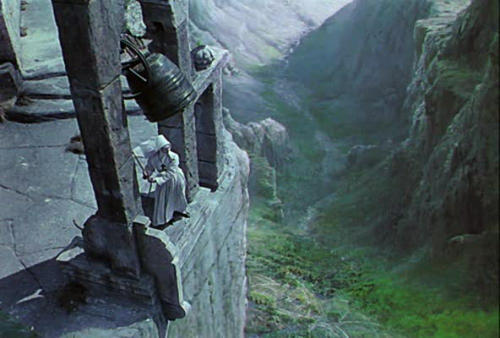 Michael Powell and Emeric Pressburger's 1947 Black Narcissus may be the most beautiful film ever made. A film in which the plot and the scenery change roles, as the plot fades to the background and you are left to admire the beautiful scenery brought to the forefront. The story tells of a group of Calcutta nuns who are sent to establish a missionary school in The Himalayas. There they face not only the treachery of the physical conditions, but the temptations which challenge their religious vows. Although the plot of this once controversial film has become stale, the scenery of the Himalayan mountains is good enough to be used in the Planet Earth series. The camerawork is really unthinkable for the time it was released. Also the ending is quite effective as well. The title character is being identified in a morgue by an older British journalist living in 1952 Saigon as the film opens up. The man claims to be his friend and then goes on to tell the story of how he and the departed met and feuded over the same woman during the time in which the Vietnamese were fighting for their Independence from the French. 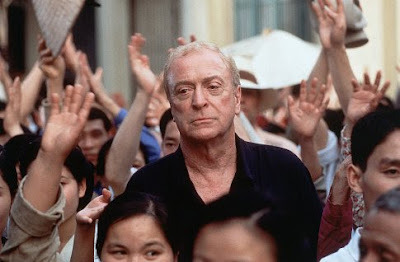 As the journalist, Michael Caine turns in one of his greatest performances and Brendan Fraser gives a surprisingly good performance as well as his quiet American friend who turns out to be more than he seems. The film tends to drag in the second half but is buoyed throughout by the fine acting. Nickie Ferrante is such a world famous bachelor that even one of the Gondoliers in Venice tells his clients that Ferrante is getting married. As he makes his way to America to see his fiance by ship he meets Terry, also engaged. The two form an immediate bond and have a great time during their fling. When they arrive at port they decide to meet again in 6 months atop the Empire State where they will both be wed. Leo McCarey remade his own Love Affair from 1939 and the result is a very fine first half of a film and a second half that is a letdown. After a while, the comedic airs dissipate and the sap settles in leading up to what proves to be an unsatisfying conclusion. Cary Grant and Deborah Kerr are terrific in this film from 1957, but elements of the story are stale and the script could have used a little updating. Moulin Rouge! is Baz Luhrmann's labor of love from 2001, and the film that was thought to have revived the musical in Hollywood. By taking a simple story set at the turn of the 20th centuries and mixing it with 21st century sensibilities, it became a huge international hit. Its story is about a young writer (Ewan McGregor) who leaves his conservative house and heads to Paris to the Moulin Rouge, an infamous burlesque house. He falls in love with their main dancer (Nicole Kidman) but is soon threatened by the Duke, the main financier of the theater. They soon find themselves devising means by which to keep their show and their romance together. The whole film is set to musicalized versions of pop hits from the last twenty years (there is no original music in the film) and the movie is filmed in a hyper-kinetic music video style. This style is the reason the film was so successful and the reason that I think hurts it the most, resulting in what I would describe as kitsch. McGregor and Kidman shine in the leads though, Jim Broadbent is great in support, and the movie comes together nicely in the final act. 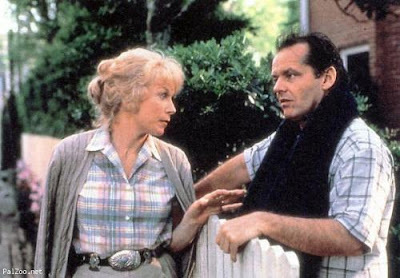 Terms of Endearment does all the things right that almost none of the romantic comedies can do today. Released in 1983 to rave reviews and box-office success, James L. Brook's film went on to win Best Director and Best Picture. Adapted from a novel by Larry McMurtry, it tells the story of a mother (Shirley MacLaine) and daughter (Debra Winger) over the course of a few years. MacLaine is recently widowed and takes up with her astronaut neighbor who prefers younger women (Jack Nicholson). Winger is unhappily married to an English professor (Jeff Daniels) and takes up with an older man (John Lithgow). The film does not play like any other romantic comedy because it refuses to be cliche and constantly changes its rhythm. MacLaine (Best Actress winner) and Winger are fine in the leads and Daniels and Lithgow are great in support, and Nicholson, also an Oscar winner, adds a lot of fun and laughs keeping this from just being a standard chick flick. 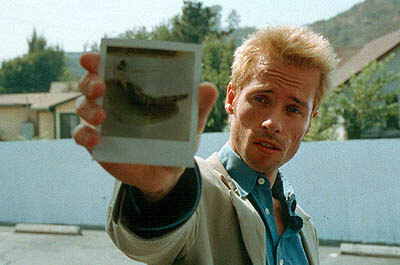 Memento is the story of a man who can form no new memories and is looking for the man who murdered his wife and caused this condition, and in many ways our own memories are tested in this film by the way it is structured. The 2000 film by Christopher Nolan is filmed in both black and white, and in color, shown interchangeably. The B&W sequences show the protagonist (Guy Pearce) in his hotel room, covered in tattoos, gathering evidence, and explaining the situation he is in. The color scenes start from 10 minutes before the end of the story and will then keep jumping ten minutes back until they reach the beginning of the story when it will meet up with the B&W sequences. This film was beloved when it was released and continues to have a cult following. It is certainly engaging, but at this point I see the film as somewhat gimmicky and even distracting at points. Still it is somewhat brilliant in its construction and the payoff is a knockout. π (Pi) is the 1998 directorial debut of dark and acclaimed director Darren Aronofsky. 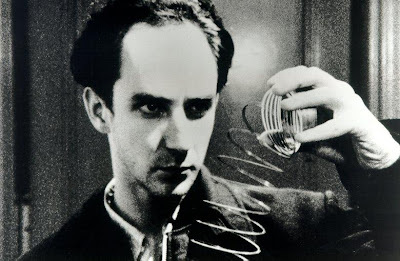 Shot on a shoestring in grainy black and white, it tells the story of Max, a mathematical genius who finds patterns everywhere. For the past ten years he has been trying to crack the ultimate code: the stock market. Now he believes he is extremely close in doing so. Soon he begins seeing patterns in everything and gradually begins a descent into madness. There is real craftsmanship evident in this film and you can tell that Aronofsky was a talented filmmaker from the beginning. Yet, like with the rest of his work, it is unremittingly bleak and this one is almost headache inducing. I did like the bizarre ending however. I could upload a David Mamet movie to my I-Pod and listen to it while I exercise or drive. Mamet's prose is almost lyrical and it sounds like music when spoken by the right actors. 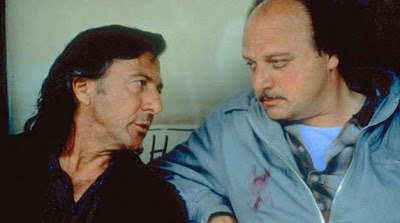 American Buffalo is a 1996 adaptation of his hugely successful, vulgar, and terse 3-man stage play and stars Dustin Hoffman and Dennis Franz (Sean Nelson, an unknown plays the 3rd role). Largely set in a pawn shop owned by one of the characters, the three men devise a plan for getting back at a customer who ripped the store off on a recent purchase. As they plot, emotions and old wounds fester up and truths are ultimately revealed in their friendships. The film was not received well when it was released. I don't see how this could be a failure and the play a success considering they're basically the same thing. Admittedly, the film is not exactly what you would call cinematic, but again, I loved hearing the Mamet Speak as spoken by the actors and found this to be a nice retread into the tough world of Don's Pawn Shop. 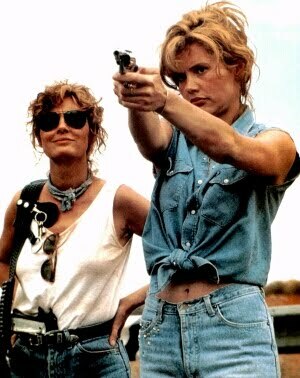 1991's Thelma & Louise does an interesting thing with the road movie. It casts two women in the lead of an ultra-feminist script, yet hires one of Hollywood's renowned action directors to helm the film. It results in an entertaining film, with the wonderful shots on the road and the performances from the two great female leads making up for the ludicrous, laughable, and unfair portrait of men portrayed in the film. Ridley Scott is the director, not one of my favorites, but who does know how to craft an interesting film (let's see how Robin Hood will turn out this weekend). I do believe that he is the one that saves the film from itself, again providing great shots and handling certain scenes very well. The Oscar winning script from first time screenwriter Callie Khouri is fun but ridiculous and irresponsible. Geena Davis and Susan Sarandon are two delightful actresses and shine in the leads. The film would have been a disaster in other actresses' hands. Most films about drugs, no matter how entertaining or successful, never really hit the nail on the head. By either glorifying or vilifying the users, most find them to be entertainments, yet not really successful as drug movies. 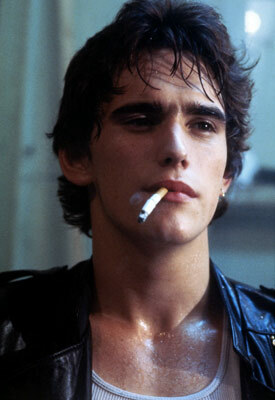 Where Drugstore Cowboy stands out is that it is a drug movie that just observes, and never passes judgment on its junkie characters. The 1989 breakthrough hit not only for Matt Dillon but also for director Gus Van Sant is kind of a remarkable film in the way it handles its material. It focuses on Bob (Dillon) and his crew who go around robbing drugstores and getting high in 1971 Portland, Oregon. Bob is not your typical junkie. He is very intelligent, but puts his intelligence to use only to devise means to score more drugs and maintain his high. He also believes in lucky streaks and hexes, which may accurately describe a junkie's existence. There is a point where Bob decides to sober up, but it is not for the cliched reasons most movies offer, and Bob puts his reasoning for choosing sobriety so delicately to a counselor that paraphrasing it here wouldn't do justice. Drugstore Cowboy is a film that was a breakthrough for several talented artists, an early Indie classic, and a movie that gets drugs right. 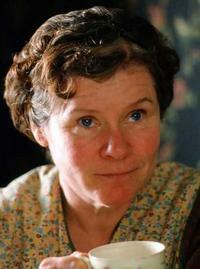 Vera Drake is British filmmaker Mike Leigh's 2004 release that features a powerhouse performance from Imelda Staunton. 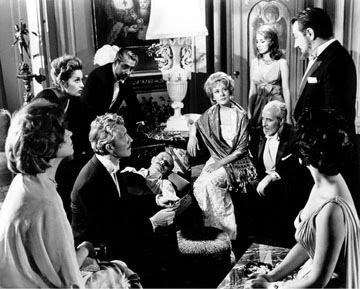 The setting is England in 1950 and Staunton plays the title character who goes about her life as a perky and ideal housewife of the time. She makes ends meet as a maid, always has a kettle on the stove, and performs illegal abortions for those who cannot afford them. Vera Drake is not made in a sensationalized manner but rather as a window into the day-to-day life of this woman and those around her. I actually found the first half to be on the slow side, while the second half turns devastating and packs a wallop. It is impossible to remove your stare from Staunton's face as it is consumed with sadness and fear yet still remains kind and pleasant. Vera Drake takes a difficult subject and puts a human face on the controversy. Climates is the type of film that critics adore and send most other movie fans running. It is slow, languid, and introspective and will at times have you contemplating whether or not it is brilliant or it will have you checking your watch. From 2006 by Turkish director Nuri Bilge Ceylan who also wrote and costars, it details the breakup of a May-December romance, then the attempt of the older man to get the younger woman back. Ceylan uses extended closeups and long stretches of dialogue throughout his film with mixed results. There are also some great shots of Turkey throughout, but I would offer a warning to anyone with a short attention span. Paul Newman was always regarded as a fine actor, but many believed he truly blossomed in his later years. His performance in Richard Brook's Cat on a Hot Tin Roof from 1958 as Brick Pollitt would serve as a counterpoint to this argument. In this adaptation of Tennessee Williams' controversial play, Newman brings all the ferocity and nuance necessary to play the role of the troubled young man. In the film, Brick's wife Maggie (Elizabeth Taylor) is desperate for a baby, by Brick is too depressed with the loss of his football career as well as the death of his friend to sleep with her. Meanwhile the rest of the family has heard that Big Daddy is sick and is after his millions. Big Daddy, wonderfully played by Burl Ives, is no dummy and wants to give his fortune to Brick, but won't entrust it to an impotent alcoholic. What ensues is wonderful southern dialogue in what is mostly argument. Brooks does his best to bring the controversy to the screen, even though it is subdued. The result is a fine screen adaptation showcasing some of the finest actors of its era. Talk to Her is Perdo Almodovar's acclaimed film from 2002. It is the story of two couples in Spain, wherein both of the women are comatose, and both men deal with their conditions in varying ways. Benigno is a male nurse and a homosexual who is essentially the caretaker for Alicia, a comatose dance student. Although she is unconscious, he feels they share an emotional bond, a feeling that will get him into trouble later. Marco is a writer whose girlfriend Lydia is a matador and been injured in a bullfight. He does not respond to her condition as well Benigno does to Alicia. When the two meet, they too will forge a bond. Though this was one of the most well received movies of its year, I found it to be languid and slow in places. The end is extremely moving as the narrative reaches tragic levels of almost Shakespearean means. Run Ricky Run details star running back Ricky Williams 2004 decision to leave football and spend a year on his own instead of facing a four game suspension for smoking marijuana. 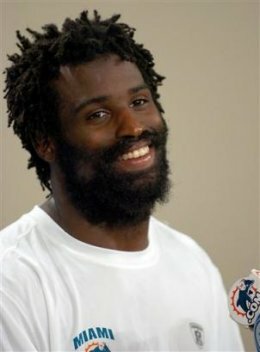 Williams took much heat from the media and was portrayed as a selfish, pot smoking thug, but this documentary offers a different Ricky: A genteel, introspective man who may have left the game for all the right reasons, instead of the supposed wrong ones. Run Ricky Run is a fine installment in the 30 for 30 series as we are introduced to several sides of Ricky, meet his family and friends, learn about his troubled childhood, and witness his triumphant return to the NFL. Despite that these docs do become somewhat repetitive, 30 for 30 is proving to be a worthwhile series. Jean-Dominique Bauby (Mathieu Amalric) was the editor of Elle Magazine who had all of life's pleasures at his fingertips. Then one day he had a massive stroke and lost all movement in his body, except for that in one eye. We meet him at the point when he learns this. After dealing with the despair of his condition, Jean-Do as he likes to be called, learns to communicate by blinking at letter charts, reunites with family and friends, and writes the critically praised memoir upon which this film is based. The Diving Bell and the Butterfly snagged an Academy Award nod for Best Director for Julian Schnabel, and it is an arty film to be sure. Yet it is a beautiful art film. Much of it is shot from Bauby's point of view as we hear his inner turmoils and view what he views as he blinks in acknowledgment. He states, "besides my eye, two other things were not paralyzed: my memory and my imagination." So we get to witness these things as well in the film which Schnabel brings to life with great color and creativity. 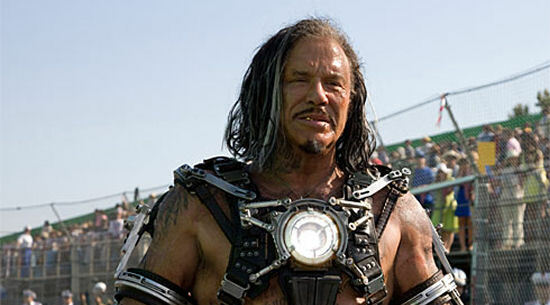 Iron Man 2 is a perfectly servicable sequel and in many ways outdoes the original. Iron Man 2 opens during Tony Stark's revelation that he is Iron Man, being viewed on a grainy TV in Moscow by Whiplash (Mickey Rourke) developing some kind of weapon. 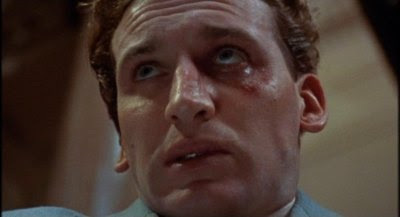 We then fast-forward 6 months later to where Stark is battling Senate Committee's, a rival industrialist (Sam Rockwell), poor health, and the Rourke character. Pepper Potts (Gwyneth Paltrow) is now Stark Enterprises CEO, still loyal to Tony and disapproving of actions. Don Cheadle has replaced Terrence Howard as his close confidant (his opening line is "I'm here, get used to it"). Also thrown in the mix are Stark's mysterious new assistant (Scarlett Johannson) and the leader of a secret organization (Samuel L. Jackson). Robert Downey Jr. picks up where he left off with his wonderfully quirky performance and All the other characters, new and returning, add to the story as does new screenwriter Justin Theroux (War Machine's entry was a little week though). I complained about the amateur directing of Jon Favreau in the first installment and he's back here. I guess he has improved, but would still like to see another director take the helm to see where the series goes. IM2 is an action romp and worth the price of admission. Also stay through the credits to catch a glimpse of the next character from The Avengers. 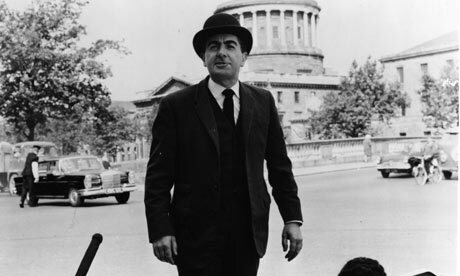 Let Him Have It is a British film from 1991 that inhabits its time and place, 1952 London, with great period detail as it details one of the great miscarriages of justice the country has known. This is the story of Derek Bentley (wonderfully portrayed by Christopher Eccleston) a 19-year-old who is only 11 mentally. Though Derek tries to do his best and keep his nose clean, he falls in with a group of juvenile delinquents. After one of the members of the group is arrested and sentenced, he finds himself in a bad situation with that boy's brother, and soon the two are both on trial for the murder of a policemen (the title refers to testimony from his trial). This is a message movie, though the message is kept subtle (at least until the near-end). In addition to being a heartbreaking and intriguing story and well-acted, Let Him Have It also functions as a wonderful period piece. I was a few minutes late into see Gigi and for a few seconds I thought I was in the wrong theater. 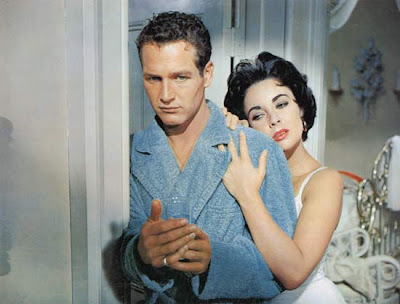 That's how great the Technicolor looks in this Best Picture winner from 1958. Also winning eight other Academy Awards in a sweep, including Vincente Minnelli's only Best Director Award. Filmed on location in Paris, Gigi is a Lerner and Lowe musical that bears a striking resemblance to their other smash hit My Fair Lady. In this film around the turn of the 20th Century, a young girl is groomed to be a courtesan while her friend, a young man of the aristocracy becomes bored with his affluent life. Of course the two fall for each other, but not until after several missteps. Narrating this tale is the young man's uncle, played by Maurice Chevalier who won an Honorary Oscar that year as well. Though Gigi does have some tremendous elements, such as the aforementioned glorious technicolor and on location Paris flavor, elements of the story feel stale and the music is all but forgettable. Gigi would have to be placed in the category of noteworthy yet slight or forgotten Best Picture winners. 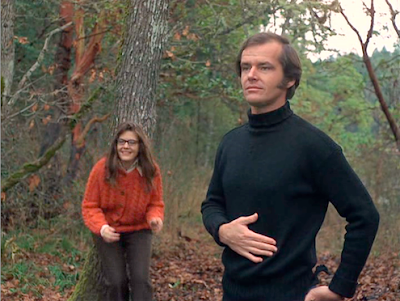 Five Easy Pieces is the first film to feature Jack Nicholson in the lead in what may be hist best role, a character study, and an American classic. 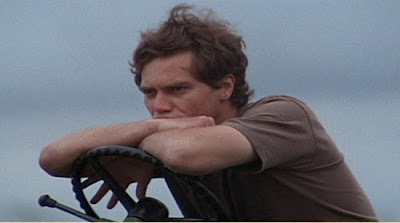 Brought to the screen in 1970 by director Bob Rafelson, Five Easy Pieces tells the story of Robert Dupea (Jack) a young man going from job to job and currently working on an oil rig. Bobby likes to spend his time at bowling alleys and with his ditsy girlfriend Rayette (a wonderful Karen Black). Then, as the film progresses, we learn more about this intriguing, hard-nosed young man and realize that there is more than meets the eye. Through what I consider to be three different segments of the film, we come to understand who Robert Dupea is and why he has made some of the life choices he has made. Though, not all is explicitly apparent by the brave ending-an ending which you would probably never see the likes of in today's films. Five Easy Pieces is worth seeing for many reasons, be it for Jack Nicholson's wonderful performace, to witness a film that helped to usher in the daring filmmaking decade known as the 70s, or to just view a film that magnificently captures all human elements we expect from the great movies. Ulysses details a Jewish doctor's day in Dublin, which turns into an Irish Odyssey of sorts. Adapted by Joseph Strick in 1967 from James Joyce's massive stream-of-consciousness novel, which was thought impossible at first. However, it was well received upon released and contains only lines found in the novel. The film is well shot, and the B&W looks great, but to someone like myself, a person who hasn't read Joyce's work, Ulysses remains indecipherable. Until I read up on the novel, I leave this film with the mysterious 2.5 star rating. Three brothers with very different outlooks on life and women in particular all move under the same roof due to varying circumstances. Throughout the course of the film, the brothers will start, end, or perpetuate relationships while dealing with their own issues of commitments. 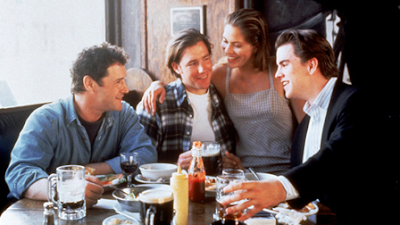 The Brothers McMullen is Edward Burns directorial debut and it turns out to be another talky yet engaging 90s film. Also costarring, Burns is smug but also has a certain charm in the lead role. I also thought it was interesting to see an Irish Catholic perspective for once in a movie as well. 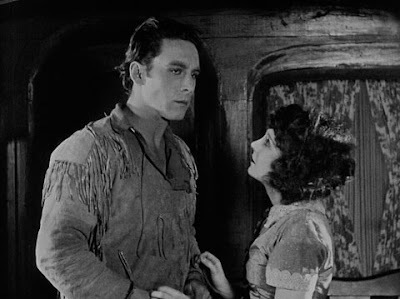 The Iron Horse is a silent western from 1924, and as difficult as those films can be to sit through, it is significant in that it is legendary director John Ford's first big cast, big budget film, and it is interesting in that you can see the foundations of his themes and methods alive on the screen in this early film. The film details the building of the American railroads, as one man sees his dream of cross country travel come to life. Leonard Maltin said that this is the movie that invented many of film's early cliches, and so it is awash in many hackneys to be. However, the black and white film is illuminous for its time and there is plenty to behold to make this a worthwhile cinematic endeavor, as well as an insight into a great director's early work. Bug comes billed as a horror picture, but for awhile it plays like a very good stage play. I was surprised when I later learned that it was based on one. The 2006 film, directed by William Friedkin, is set in the Oklahoma desert, almost entirely as a motel inhabited by a lonely bar maid (Ashley Judd). Her dangerous ex-husband (Harry Connick Jr.) has just been released from prison and she has been receiving ominous phone calls. 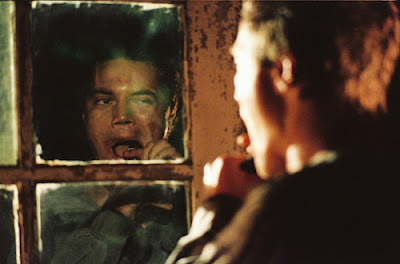 After partying one night with her girlfriend, she meets and is soon taken up with a strange young man (Michael Shannon). Then the infestation sets in. Like I said, Bug plays out very nicely for awhile, establishing mood and atmosphere alongside nice performances from Judd and Shannon. Then, as the horror elements set in, Bug takes a turn for the worse, becomes ludicrous, and is a letdown for the entire third act. Still, even as a disappointment, the first two-thirds are a success and it is a pleasure to watch Michael Shannon at work at his craft. I see Before Sunrise as a take on the prototype of My Dinner with Andre, a film consisting of almost exclusively nothing but dialogue between only two people. Here an American (Ethan Hawke) riding the train meets a French woman (Julie Delpy), and the two decide to get off of the train and spend his last European night in Vienna. The two inevitably fall in love as they wander the streets and talk and talk and talk as they decide how they are to face the dilemma of their impending disjunction. I found Before Sunrise to be an enhancement of this format with nicely textured dialogue enriched by the background locations (MDWA had the dialogue but the visuals were just that of two men at a dinner table). Delpy and the erratic are pleasant in the leads and have the chemistry needed in order to sustain this kind of project. Kudos to director Linklater, the type of director who could make this kind of film work. 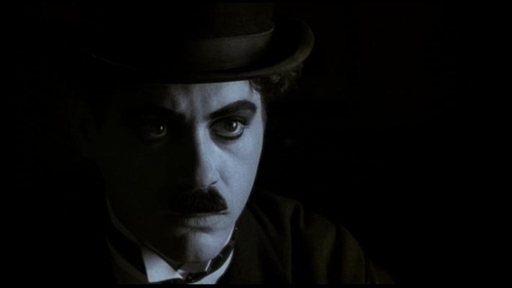 I found Chaplin to be an engaging film for the same reasons that many had panned it when it was released in 1992, for the fact that it covers much of Chaplin's scandals and shortcomings. Director Richard Attenborough gives us an insider's view of Charlie's life from his early years of squalor in Britain to his unmatched successes during the Golden Years of Hollywood (I actually found a lot of similarities between this film and The Aviator). Robert Downey Jr. is excellent in the lead as he recreates Chaplins well know mannerisms that we are all familiar with while creating a character that not many of us knew. It is also remarkable that Downey Jr. was only 27 when he made this film. Yes it is an imperfect work, and not all the parts add up to the whole, but it is an interesting portrait of a brilliant, talentened, and troubled man brought to the screen with a great career defining performance. 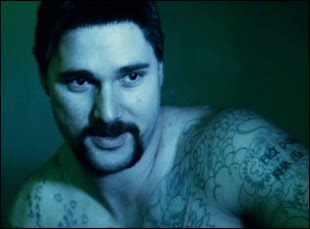 The film opens with Aussie criminal legend Mark Brandon 'Chopper' Read in prison watching a televised interview of himself, with Read saying that humanity hates him despite the fact that he is just a normal bloke. We are than shown a man who is engaging, psychotic, charismatic, and disturbed-anything but normal. In this low budget and gritty 2000 Australian film from Andrew Dominick from Read's own books, Eric Bana shines in the role that introduced him to the world and allows us to understand how he is a movie star. His performance is a no-holds-barred immersion into a complex, twisted and deranged man who must also be likable at the same time. Chopper may be a difficult film to watch, and an imperfect one at that, but Bana makes it a worthwhile show. 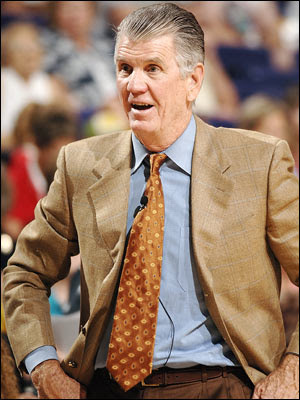 Paul Westhead had found success as an NBA basketball coach and after winning a championship with the Lakers in 1980, he was inexplicably let go. He found work with the Bulls, and was again let go after a poor first year. He then took his run-and-gun style of play to Loyola Marymount, where he found much success with players Bo Kimble and Hank Gathers, as well as an unexpected tragic occurrence. Nice entry in the 30 for 30 series tells an intriguing sports story I knew little about. In Arkansas, two brothers were abused and abandoned by their alcoholic father who reformed himself and started a new family, having two more sons. The film begins with the father's death, and his first two sons decide to crash the funeral at which the man is now fondly remembered. Thus begins the feud between the two sets of half brothers. Shotgun Stories does not provide the kind of film you would expect from the plot description. Rather, it is a slow-moving and observant southern drama directed by first time director Jeff Nichols, made in the same vein as the David Gordon Green indies (Green was one of the film's producers). The performance of Michael Shannon as the oldest step-brother is worth noting as well. He chooses not to play the role as an angry redneck, but as an intelligent young man. Shannon is proving himself to be one of the finer actors of his generation. In the shadow of Shea Stadium, a young twelve year old street orphan is busy at work. In between selling DVDs on the subway, getting customers for his boss's chop shop, selling bootleg DVDs, stealing car parts, snatching purses, painting cars, saving up to buy a vending truck, and reuniting with his recently returned sister, Alejandro barely has time to live the life of a normal twelve year old. This 2007 film comes by way of Ramin Bahrani, the young Iranian director who specializes in urban neorealist films. Though his films may be overpraised in some circles, if you have not seen one of his films, you owe it to yourself to go out and do so. Bahrani has a way of capturing human elements of basic stories as well as extracting wonderful performances from non-actors. Chop Shop is a film that blends all elements of the human experience.